The fur will fly, quite literally, when you visit our adult lions at feeding time. Standing just metres from the fence line, onlookers watch in awe as several of our fully-grown male lions charge towards their meal and tussle for the prime pieces. One of our most adrenaline-filled activities, the lion feeds not only give you a once-in-a-lifetime experience but also constitute a vital part of our research into the lions’ characters and dominance behaviour. 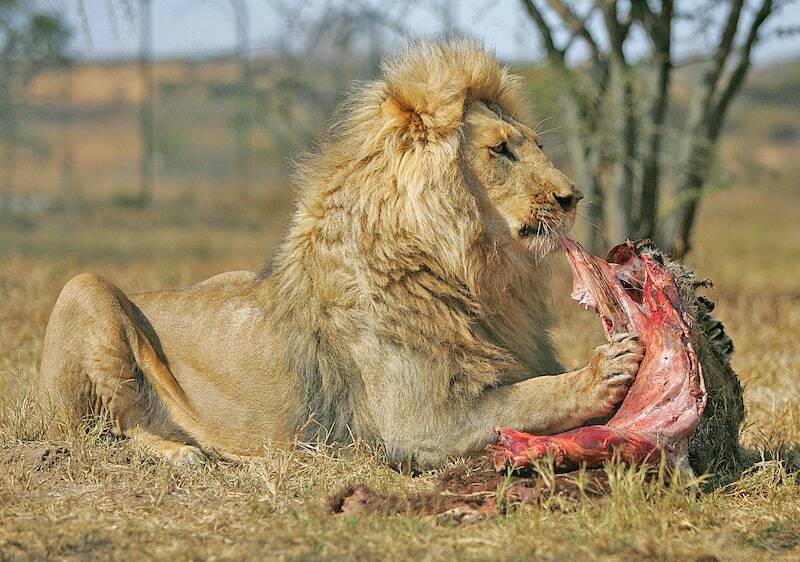 Most people could only dream of being so close to a fully-grown lion as it gets stuck into a meal, but you’ll be the guest of honour at a feast fit for the King of Beasts.